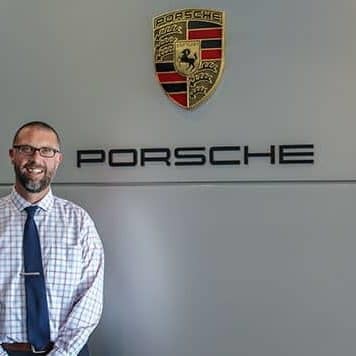 Aaron brings nearly two decades of automotive industry knowledge and passion to Porsche Milwaukee North and has been with us from the start. 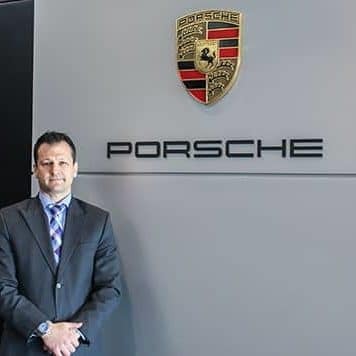 Trevor has been specializing in luxury vehicle sales for over 8 years and has been a Certified Porsche Brand Ambassador since 2012. He prides himself on his ability to meet and exceed client expectations by providing unparalleled customer service and understanding the importance of fostering the valuable relationships he has built with his clients over the years. 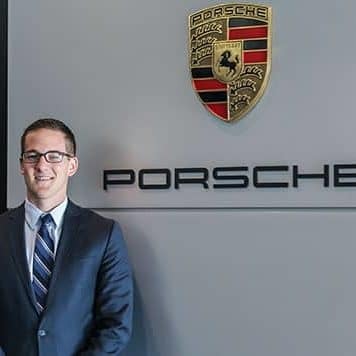 Whether you’ve been a Porsche enthusiast for decades or if you’re discovering Porsche’s diverse and charismatic lineup for the first time – Trevor is ready to lend his professional expertise to ensure a top-notch buying experience. Dustin has been in the automotive industry for 8 years working for a number of different luxury manufacturers. He prides himself with providing an unparalleled purchasing experience when looking for a New or Pre-owned Porsche. 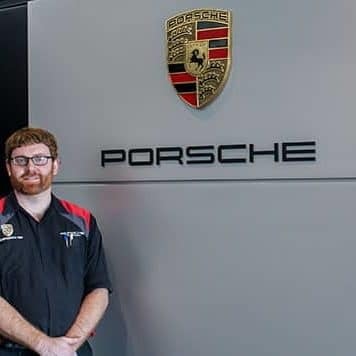 Having driven Porsche’s on numerous track circuits, mountain roads and even the autobahn Dustin is sure to provide a wealth of knowledge in regards to Porsche driving dynamics. When he is not at work Dustin enjoys playing fetch with his German Shepherd, a round of golf or just spending time outdoors. 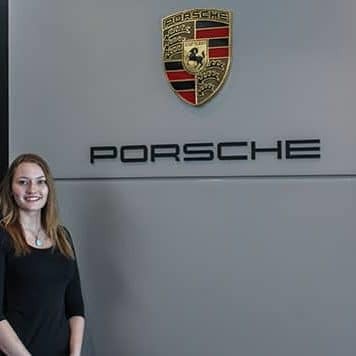 Jessica has been with Porsche Milwaukee North for 2 years and the Porsche brand for 10 years. 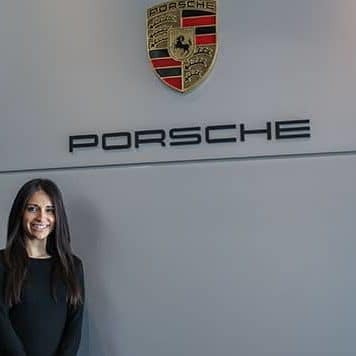 Her ultimate goal here at Porsche Milwaukee North is to provide each and every one of our clients with the absolute best customer experience possible. Her favorite thing about Porsche Milwaukee North is that we are one big family. When she’s not at work, you will find her at the soccer fields or traveling with her family. 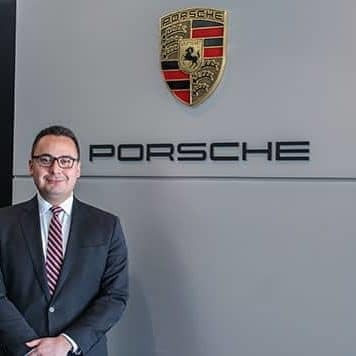 Meet our newest addition to the Porsche Milwaukee North team, Alex Arteaga. Alex has been in the automotive industry for over 15 years. His attention to detail and organizational skills will set him far apart from the rest. He is eager to start building a relationship with each one of our service clients. Going the extra mile going above and beyond. In Alex’s spare time he enjoys spending time with his 4 kids and cheering on the Milwaukee Bucks! Bianca grew up in Fox Valley and attended college majoring in Environmental Science. She’s been with Porsche Milwaukee North for a year. We are very grateful to have her as a part of our team. She loves learning new things and being a resource and problem solver to our service team. She enjoys assisting clients with their vehicle’s needs as soon as they enter our service drive. When she’s not working Bianca is a passionate outdoor enthusiast and is eager for an adrenaline rush. Sometimes we swear she’s a mermaid with how much time she spends in water. Next time you are in for service, stop by and say hi. 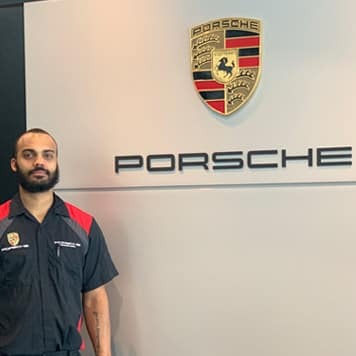 Tim, our Porsche Certified Gold Technician, has been with Porsche for over 9 years and with our dealership for 14 years. He enjoys spending time with his kids and when the weather is nice, he enjoys a nice round of golf. 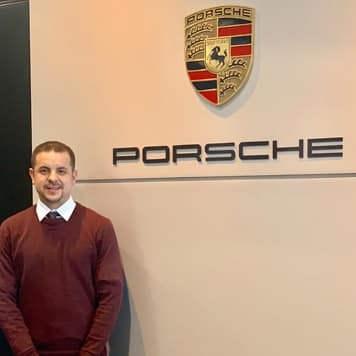 Zach is our newest addition to our Porsche team. He is a recent graduate of the Porsche Technology Apprenticeship Program. He is apprenticing our Gold Technician Tim. 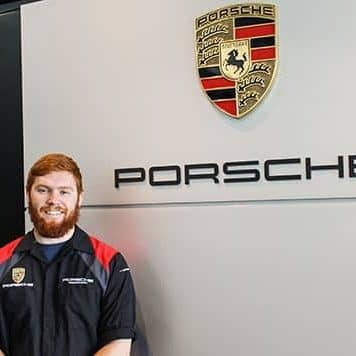 We are excited for Zach to begin this passion here at Porsche Milwaukee North. 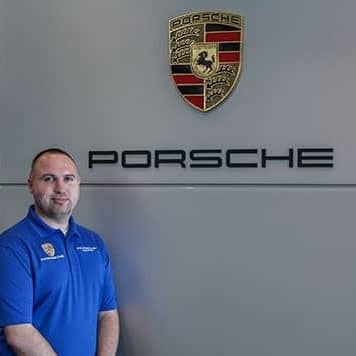 John has been with Porsche Milwaukee North since 2016. As a Porsche Certified Bronze Technician. He’s been a technician since 2012. In John’s spare time he enjoys hanging out with his family. Glynn is all about creating a relationship of trust and loyalty with his clients. He strives to help in any way possible. We are very happy to have Glynn as a member of Porsche Milwaukee North. Ryan truly cares about his clients and their safety. He knows your Porsche as well as you do, sometimes even better. Ryan is a wonderful colleague and superior advisor.